This series was created to disseminate core documents on Canadian Arctic sovereignty and security for use by the academic community, students, and policy makers. These e-books are edited summaries and document compendiums, compiled as research tools to serve as a basis for in-depth research. The volumes contain summaries or transcriptions of key primary source material – from policy statements and pronouncements to internal memoranda and declassified assessments. Material in these volumes is in the public domain and can be used and cited freely, though the volume from which they are retrieved should be appropriately acknowledged. Citation information can be found on the inside cover of each volume. This series is made possible through support from the Centre for Military, Security and Strategic Studies (CMSS), the Centre on Foreign Policy and Federalism (CFPF), and the Social Sciences and Humanities Research Council of Canada (SSHRC) Insight Grant program. This volume is a documentary history of Canadian Arctic maritime policy, with a particular focus on the Northwest Passage. 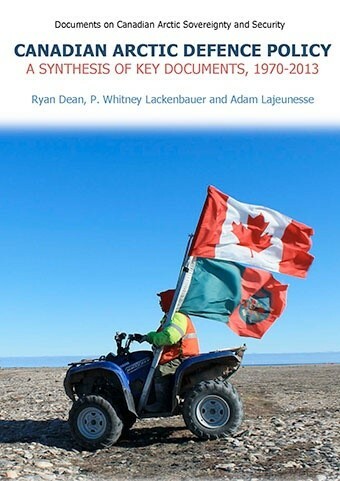 Using government memoranda, reports, and correspondence, it charts the evolution of Canada’s Arctic sovereignty during its formative years in the 1950s, through the Cold War and across the many challenges which successive Canadian governments faced in defining and asserting Canadian sovereignty. Using this original material, it tracks the country’s changing legal assessments, political concerns, and the place of the Arctic within Canada’s much broader position on the law of the sea. 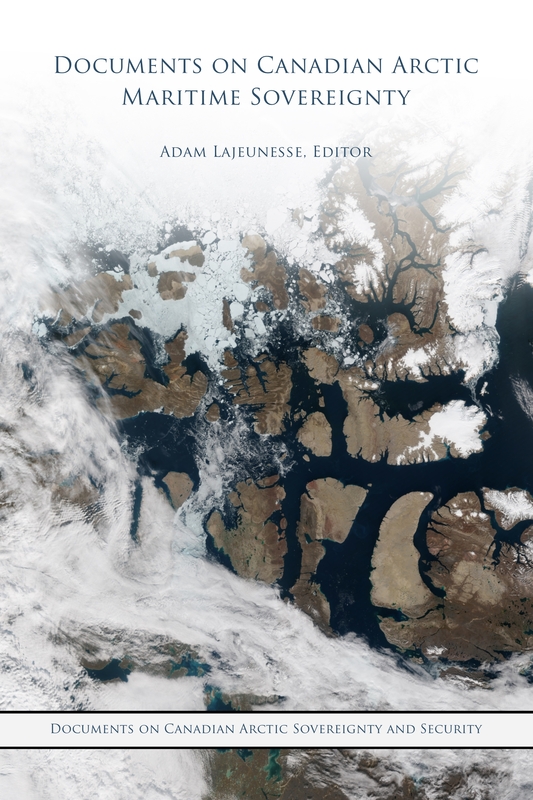 Ultimately, this volume offers readers a glimpse at the policies and practice that defined the Northwest Passage as Canadian and continue to underly Canadian policy into the 21st century. Captain Thomas Charles Pullen (1918-1990), also known as “Pullen of the Arctic,” became a noted authority on and explorer of the Arctic after he took command of the naval icebreaker HMCS Labrador in 1956. After his thirty years of active naval service, Pullen served as an advisor and consultant to government and industry on arctic marine operations for another twenty-four years, earning the reputation as North America’s foremost expert on Arctic navigation and icebreaking. 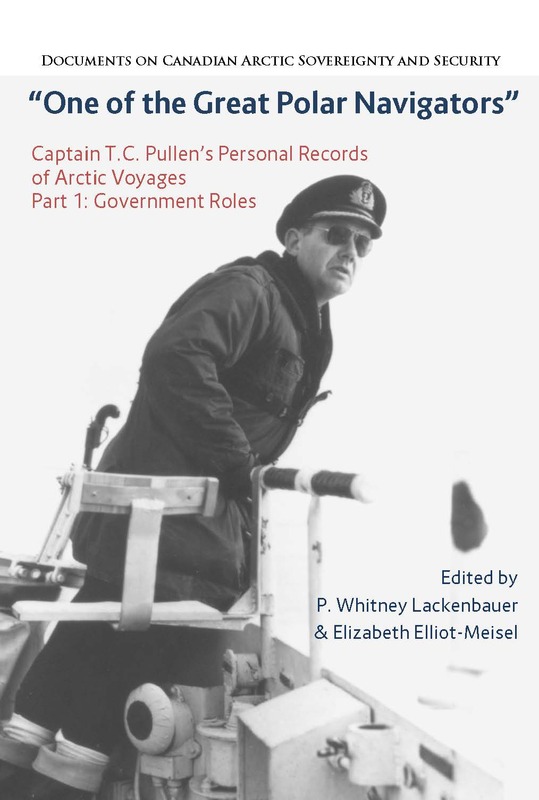 This volume reproduces key diaries and reports on Arctic operations that Pullen wrote in various official capacities over his career. The first part documents his role as the commanding officer of the Labrador during operations in the Canadian Arctic in 1956 and 1957. The second part reproduces his observations as the Government of Canada’s official representative onboard the icebreaking tanker Manhattan during its two transits of the Northwest Passage. 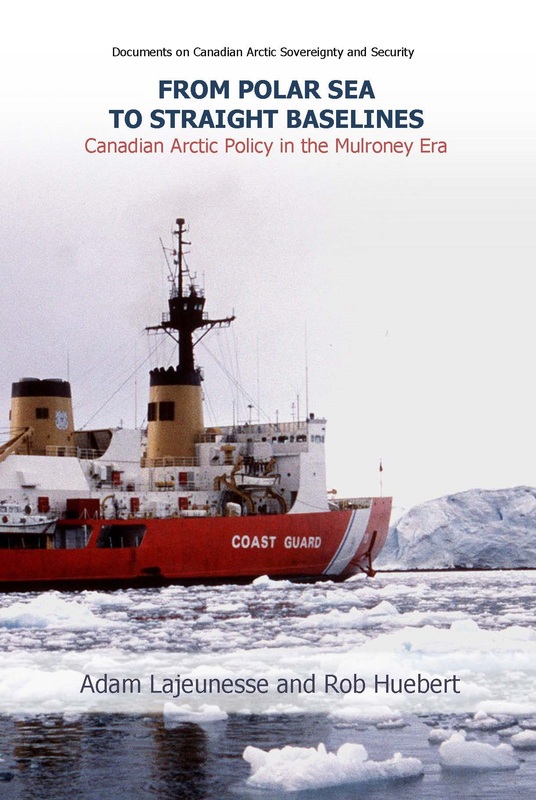 In 1985, the government of Prime Minister Brian Mulroney announced the drawing of straight baselines around the Canadian Arctic Archipelago, defining the full extent of the country’s Arctic maritime sovereignty and enshrining that sovereignty in legislation for the first time. This decision was a reaction to the voyage of the US Coast Guard icebreaker Polar Sea through the Northwest Passage that summer, an expedition that both sparked a political crisis and led to years of negotiations between Canada and the United States to settle the precise status of the northern waters. This volume contains documents surrounding that policy shift and the subsequent negotiations, which students, academics, and policy makers can use to chart the development of Canadian policy and Canadian-American relations in the Arctic. From this, readers can gain a greater understanding – not only of Canadian history – but of the nature of Canadian Arctic policy, and why it exists in its present form. 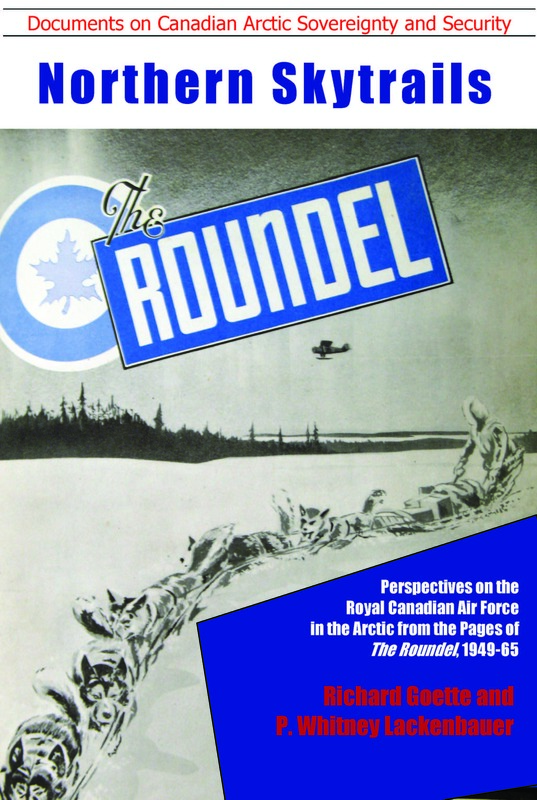 This volume examines the role of the Royal Canadian Air Force (RCAF) in the Arctic through the pages of The Roundel, the service magazine that ran from 1949-65. 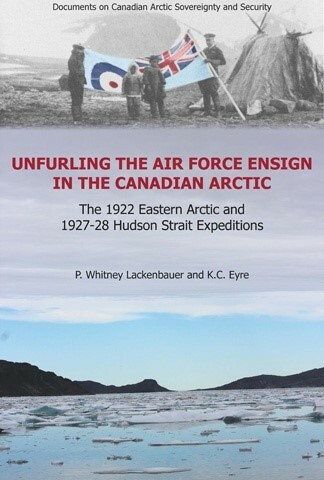 Readers will gain a deeper appreciation of the air force’s efforts to develop a greater sense of Arctic “air-mindedness” in the early Cold War through articles explaining the history of the RCAF’s engagement in the Arctic and Subarctic, lessons observed during postwar operations, life at isolated stations, and roles in continental defence. Access to these insights (which span from resupply missions to social relations with host communities and indigenous peoples) remains important today, when the RCAF is being called upon to prepare to respond to safety and security challenges in an increasingly complex Arctic region. 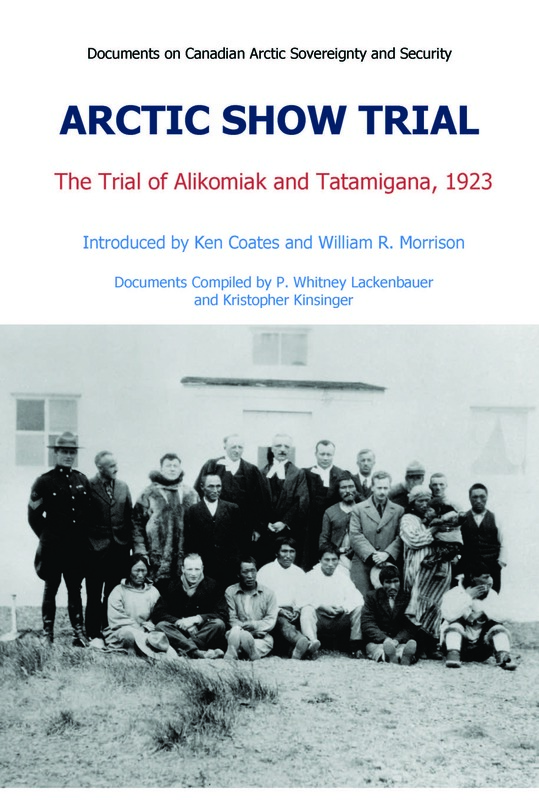 This volume brings together archival documents and newspaper reports related to the landmark 1923 trial of Alikomiak and Tatamigana, the first Inuit tried and executed for murder under Canadian law. This show trial, designed by the federal government to show the Inuit that authorities would no longer tolerate acts of violence, was meant also to demonstrate Canada’s Arctic sovereignty to the world. The conviction and execution of Alikomiak and Tatamigana caused controversy at the time, and this volume encourages further discussion and debate about the legal aspects of the case, the media coverage of it, and the interactions between the legal cultures of Inuit and the Canadian state. In 1953, the Government of Canada announced plans to resettle Inuit from areas of dwindling food resources to the High Arctic where game and fur animals were reported in abundant supply. That August, seven families from the Inukjuak (Port Harrison) area in northern Quebec and three families from Pond Inlet were resettled in communities at Resolute Bay on Cornwallis Island and at Grise Fiord, near the Craig Harbour police post on Ellesmere Island. 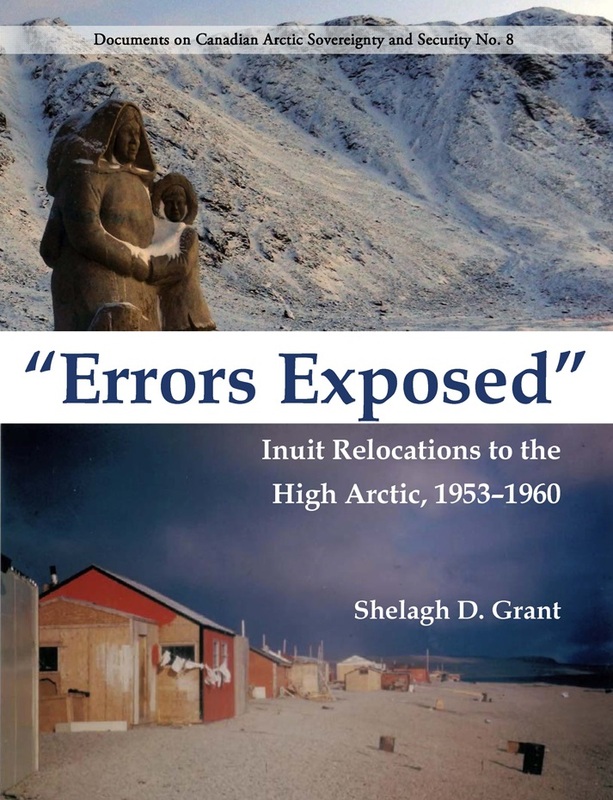 This volume makes Shelagh Grant’s important interpretations and research on these controversial relocations available to the public and provides essential background to understand the Government of Canada’s 2010 official apology for the Inuit High Arctic relocation. 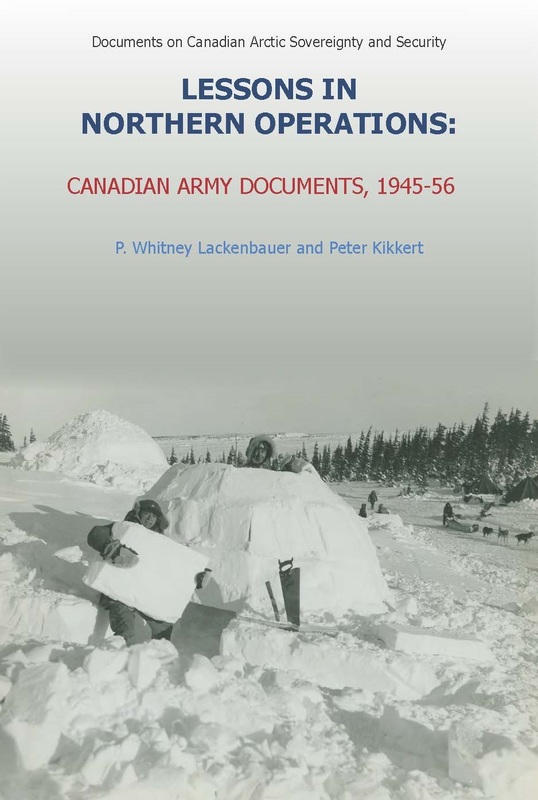 The documents in this volume provide insights into the Canadian Army’s attempts to secure a better knowledge of the characteristics of Northern operations during the Second World War and early Cold War. An extensive series of Subarctic and Arctic training exercises yielded valuable “lessons learned” that informed the planning, training, and equipping of the Army for Northern missions. The challenges encountered in these operations, the questions raised, and the lessons observed remain remarkably consistent with those experienced during Arctic deployments over the last decade. 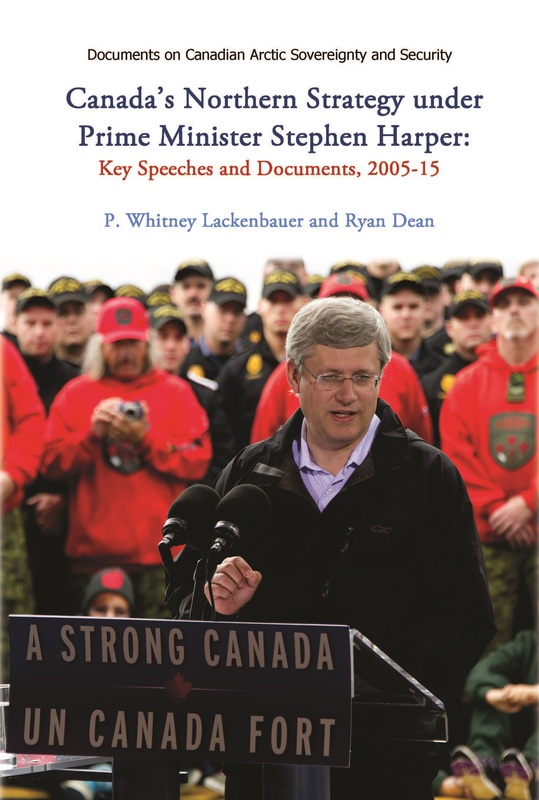 The speeches and media releases collected in this volume help to reveal the narratives on Arctic sovereignty, security, circumpolar affairs, and governance that the Harper Government sought to construct during its near-decade in office. While the government touted its own achievements in regular updates on its Northern Strategy, other commentators have been more critical, suggesting that either the government’s priorities were misplaced or it promised more than it delivered. This volume is intended to preserve these primary resources for researchers to facilitate ongoing debate and discussion. Ice islands are large rafts of multi-year ice that are carried by currents around the Arctic Ocean. They became politically significant in the early 1950s when American and Soviet research parties began occupying them. This activity called into question their legal status and highlighted the uncertain nature of polar maritime jurisdiction. 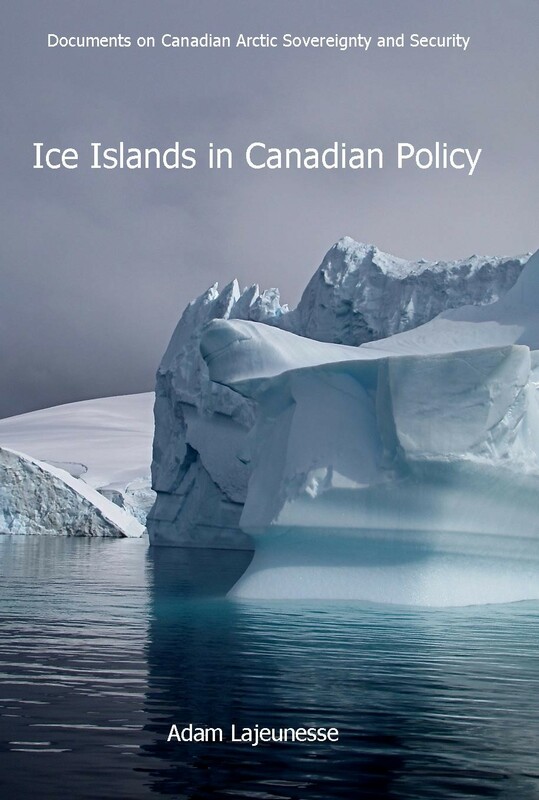 This volume tracks the evolution of Canadian policy vis-à-vis ice islands and examines how the politics surrounding these bodies influenced the country’s broader position on Arctic maritime sovereignty. The Advisory Committee on Northern Development (ACND), a high-level interdepartmental committee, was responsible for coordinating federal Arctic policies and programs from 1948-1971. The minutes of its main meetings provide unparalleled insight into how high-ranking civil servants in Ottawa grappled with what they perceived to be the most pressing issues of the era, including Canadian-American relations, sovereignty, security, Aboriginal affairs, socio-economic development, scientific research, and governance. As this volume reveals, the ACND represented an early example of the “Whole of Government” approach to policy deliberations, revealing the myriad activities that constituted the “Arctic revolution” during this pivotal quarter-century. This collection documents the role of Canadian Air Force and Royal Canadian Air Force in the opening of the Arctic during the interwar period, reproducing the landmark reports by Major Robert A. Logan (1922) and Flight Lieutenant Thomas A. Lawrence (1928). 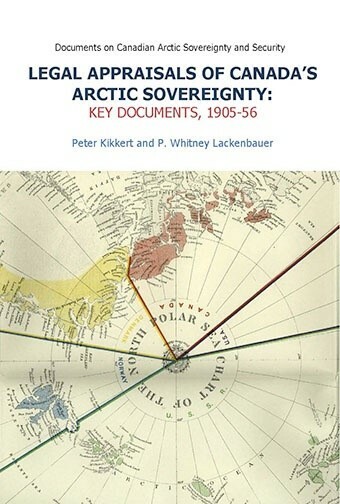 This collection documents how Canadian, American and British legal experts attempted to untangle the complex sovereignty knot in the Arctic Archipelago from 1905-56. While Canadian legal appraisals form the foundation of this collection, British and American documents offer important insight into Canada’s legal title and its general approach towards Arctic sovereignty. This volume is a synthesis and analysis of Canadian government documents on the subject of Arctic defence from 1970 to 2013. It focuses on policy papers, committee reports, public addresses, and other publicly available material. It is designed for researchers focusing on the evolution of Canadian defence policy and priorities in the Arctic. Adam Lajeunesse, Ph.D., is a research fellow with the Centre on Foreign Policy and Federalism and the author of books on Arctic sovereignty, economic development, and security. P. Whitney Lackenbauer, Ph.D., is a professor in the department of history and co-director of the Centre on Foreign Policy and Federalism (CFPF) at St. Jerome’s University (University of Waterloo) and a fellow with the Centre for Military, Security and Strategic Studies, the Arctic Institute of North America, and the Canadian Global Affairs Institute. Ryan Dean, M.A., is a PhD candidate in the department of political science at the University of Calgary. While these volumes are designed to be as comprehensive as possible, they should not be taken as complete records. There is an immense volume of documentation on the subject of Arctic sovereignty and security and the editors of each volume include only what they consider to be the most relevant items. Each volume is subject to revision, and new material will be added to keep the series as comprehensive as possible through subsequent editions.